In the blink of an eye, I have since completed 3/4 of my treatment package with Yun Nam Hair Care. Time flies, and under the meticulous care of my hair care consultant, my scalp condition has improved by leaps and bounds. 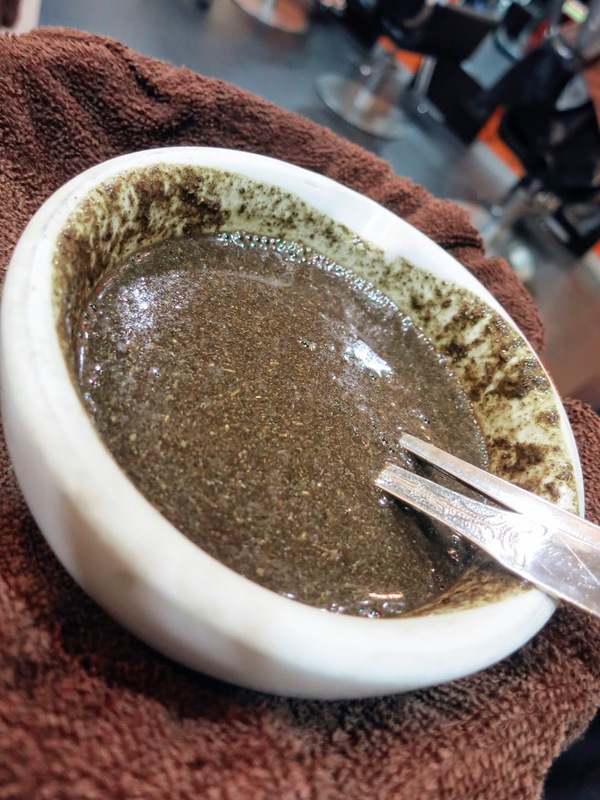 My scalp feels squeaky clean and less oily, and the occasional itch that I used to experience has gone away completely. Hair fall had greatly reduced too. More importantly, I have scan results to prove that I am on the right track! 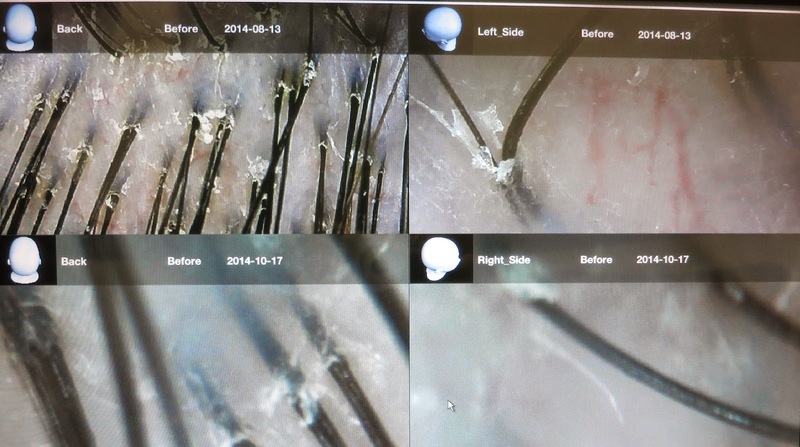 Just take a look at my recent scalp scan results below. A comparison of my 'before' (13 Aug 2014) and 'after' (17 Oct 2014) scan results shows a marked improvement. My hair follicles are now clearly visible and there are less cloudy particles surrounding my follicles, which means that I have less dead cells and my scalp is much cleaner. Evidently, the past 6 sessions of deep cleansing treatments at Yun Nam Hair Care worked really well on me. My scalp is now ready for the next phase of treatments which focuses on nutrition to further enhance my overall scalp health. Here's the herbal formula used in the course of the nutrition treatment. The main ingredients are ginseng and Polygonum Multiflorum (commonly known as He Shou Wu in Chinese). 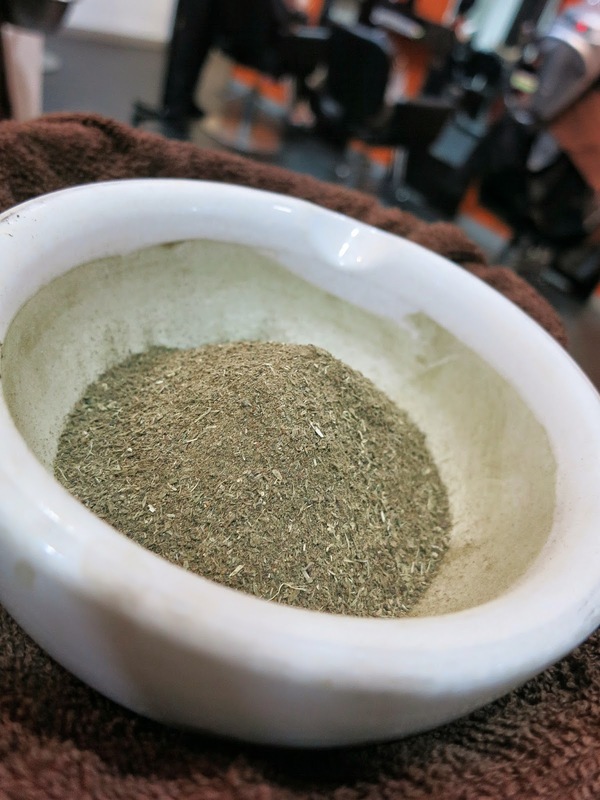 This herbal mixture was applied to my scalp and the roots of my hair with a brush. 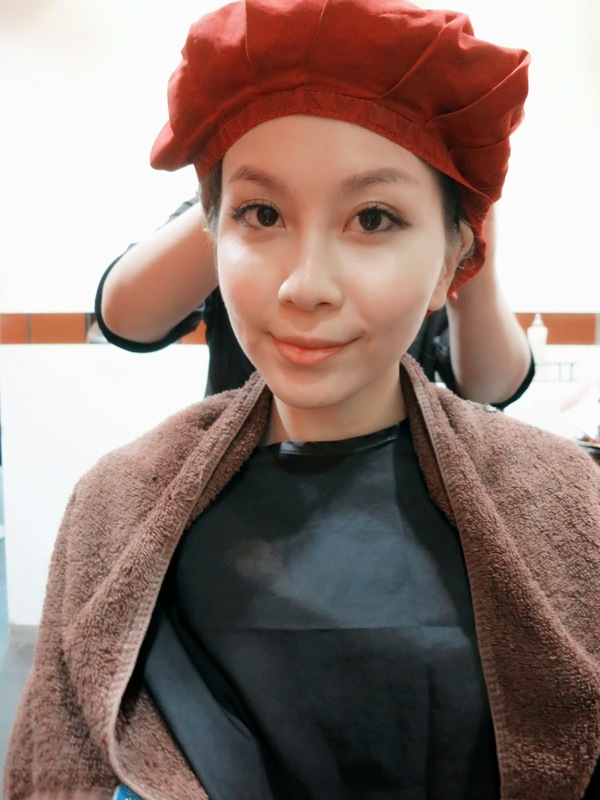 After a gentle massage, a red cap was then placed over my head before the steaming process began. I was told that this red cap helps my scalp to effectively absorb all the nutrients and goodness from the herbs. As always, I left Yun Nam Hair Care with beautiful, shiny hair. Every session feels so incredibly pampering and relaxing, I always end up looking forward to my next session. The best part is, the treatments do wonders for my scalp. Nonetheless, I am not one who rests on my laurels. To prolong the efficacy of the hair treatments between sessions, I use Yun Nam Hair Care's home care products for daily maintenance. 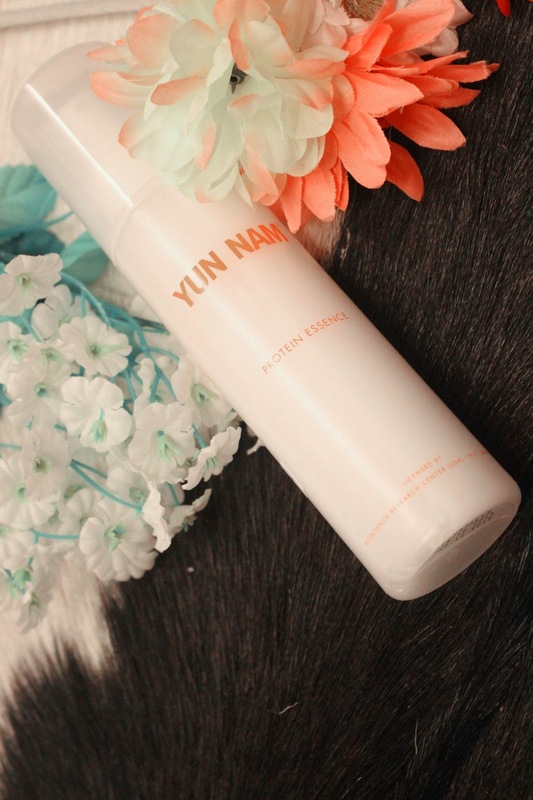 I have shared at length about Yun Nam Hair Care's shampoo, conditioner, cleansing lotion and renewal lotion here previously, but I have yet to shed some light on the leave-in treatments that I use everyday. The Hair Nutritional Lotion is formulated from traditional herbs (primarily ginseng) and is fortified with nutrients to revitalize your scalp and hair. It works like a scalp tonic, hence I typically spray this directly onto my scalp after I get out of the shower. After spraying this evenly onto my scalp, I proceed to give my scalp a gentle massage. This helps the nutrients to penetrate deeply. The other leave-in product that I use on a daily basis is Yun Nam Hair Care's Protein Essence, which works just like a leave-in conditioner. It is specially formulated to repair and restore moisture to dry and damaged hair due to high heat treatment. I spray this product directly to the middle section of my hair all the way to the hair ends after showering, when it is still a little damp. I love the refreshing apple scent and the glorious shine that it imparts to my hair. 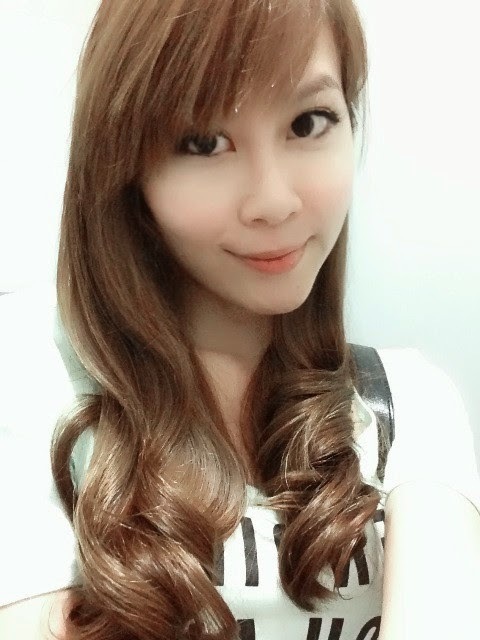 Thank you once again to Yun Nam Hair Care for giving me beautiful, healthy hair! 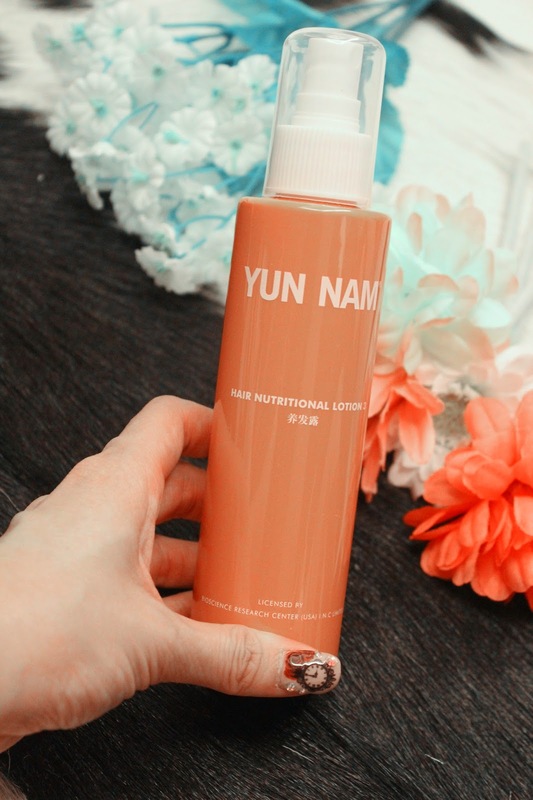 If you are interested to try out Yun Nam Hair Care, you'll be happy to know that they are offering a free trial redemption for all first-timers! Click here for more details on Yun Nam Hair Care's free trial redemption.